Confessions of an ADD English Teacher: UFO partay! I mentioned yesterday about having this ugly albatross sitting in my living room. It's a UFO. An Un Finished Object. I need to get it done. It's holding up several other projects around the house. Kind of like a clog in the plumbing that backs up your bathroom sink. Oh wait...I've got one of those, too. For real. That gnarly clog from the birthday party is back. And since I really can't do anything about the blockage in the sink (that's D's area of expertise), I can spend time working on that UFO. 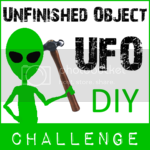 To bring you all the very first UFO Challenge! Grab a button and let us know which UFO you're going to be proving is an actual project and not just a myth you want to believe will one day get finished. So now, it's time to just run with it. Get those projects DONE and then brag about it! Be sure to check out my party sisters to see what UFOs they plan to tackle and show them some love and encouragement! Sounds like something I need to actually join in order to finish one of the many pending projects I have! 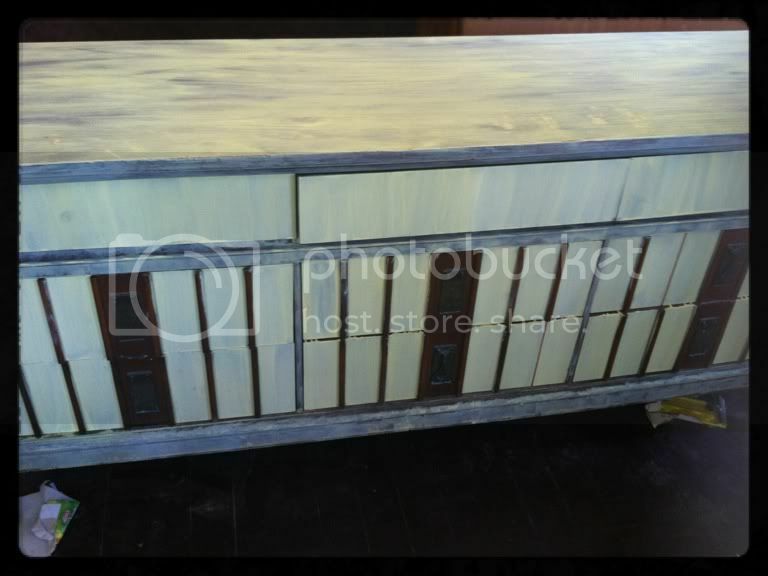 I have a desk that I'm planning on painting...if only the rain would stay away! Can't wait to see all the wonderful projects! There is nothing more fun than partying with a little green alien! :D Can't wait to see the link ups! How did you know I needed a kick in the pants? This is too funny! I love it! Just knowing that so many other people are not perfect like me and have unfinished projects is so great!